Mandarin Orange Oil is back! And we are IN LOVE with this yummy recipe that showcases one of our favorite seasonal oils. Grease a 12 portion madeleine pan with with mandarin olive oil and then dust with flour. Combine the eggs and sugar in a mixing bowl and beat for 2 minutes until light and thick. Add the olive oil and beat for another minute. Sift together the flour, baking powder, salt, and cocoa in another bowl and fold in to the wet ingredients making sure to not leave any dry spots. 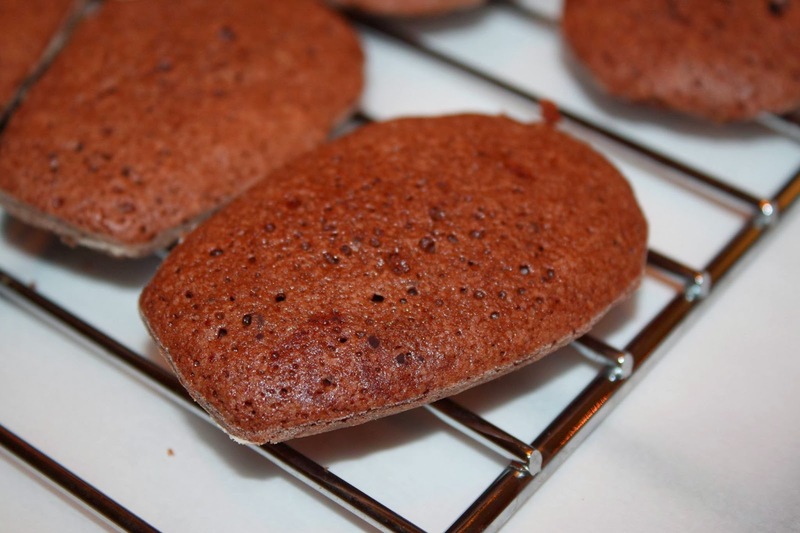 Spoon in the to the prepared madeleine mold(s) and bake in the upper portion of the oven for 10-12 minutes, or just until the tops spring back when lightly touched and the edges begin to darken slightly. Immediately un-mold the cookies and place on a to a rack to cool. Allow to cool and enjoy. These are best fresh, the day they're made.